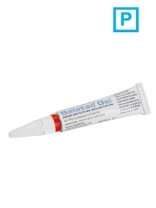 *PHARMACY ONLY PRODUCT* Collodian wart paint containing: Salicylic Acid 16.7% w/w, Lactic Acid 16.7% w/w. 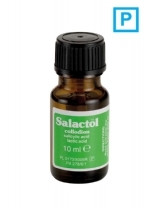 *PHARMACY ONLY PRODUCT* Effective topical treatment for verruca. 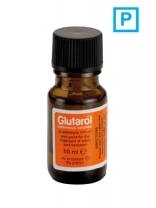 Contains: Glutaraldehyde 10% w/v. The active ingredient inactivates the wart virus and helps reduce the spread of warts by drying the wart and surrounding skin. 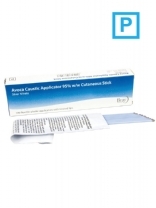 *PHARMACY ONLY PRODUCT* Wart paint for the treatment of warts, verrucas, corns and calluses. Contains: Salicylic Acid 12% w/w, Lactic Acid 4% w/w. A portable cryosurgical system for the removal of common warts and benign lesions. 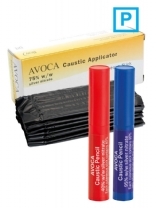 Essential verruca treatments that will help irradicate the problem quick and effectively with minimal hassle. 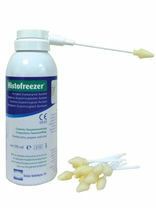 Includes Cryospray, Histofreeze, Occlusal and many more.